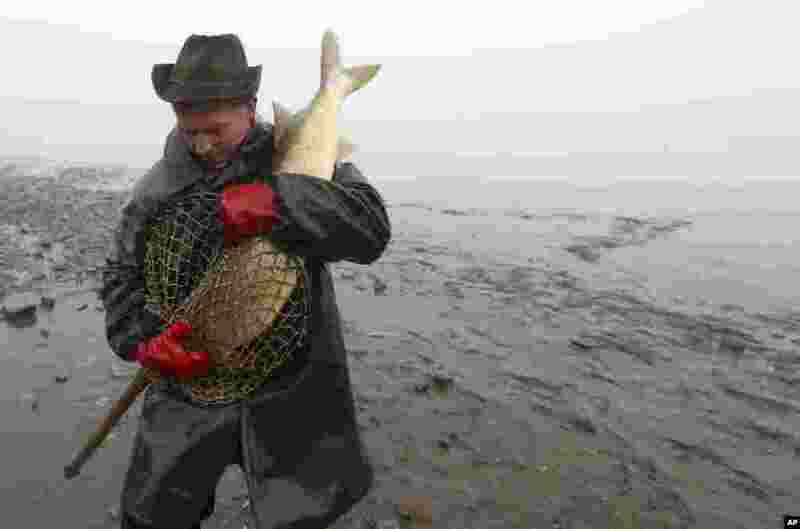 5 A fisherman carries a giant pike during a traditional fish haul at the Olsina pond near the village of Hodnov, Czech Republic. 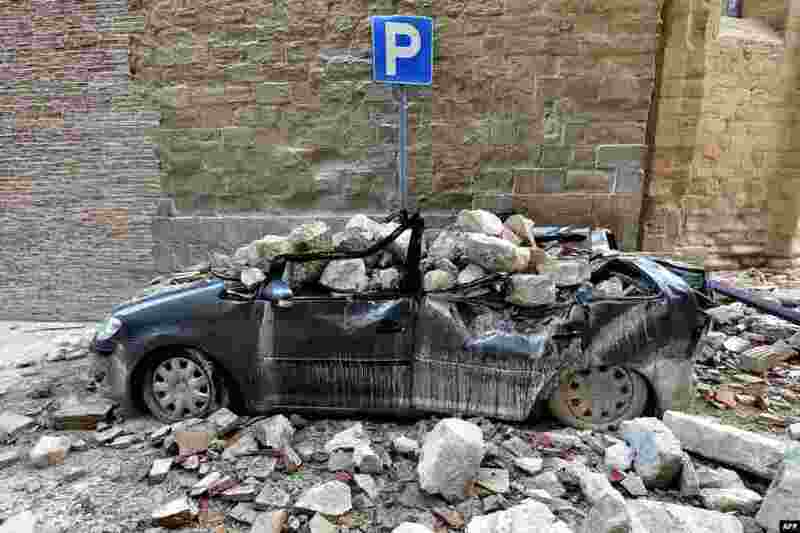 6 A damaged car in the "red zone", an area cordoned off for safety reasons, in Camerino, where 80 per cent of the houses have been left uninhabitable after two earthquakes hit the region. 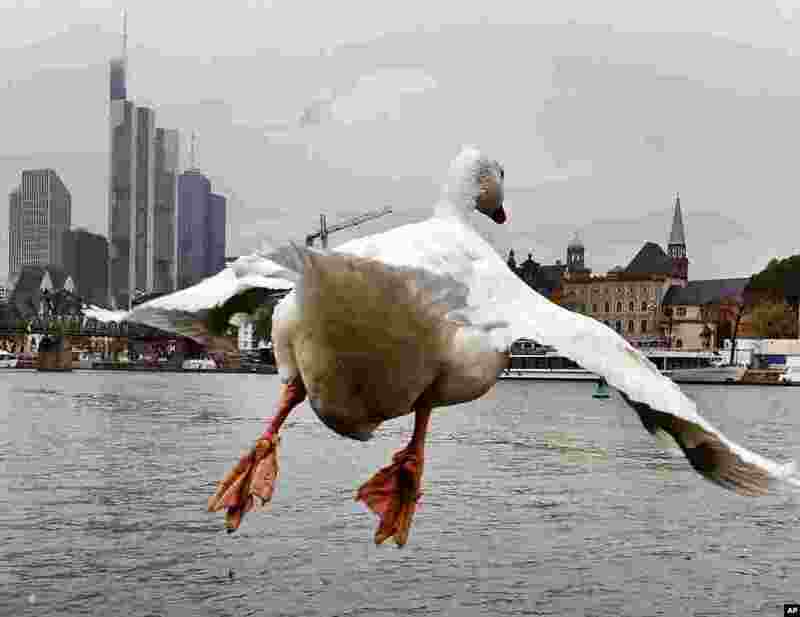 7 A big white goose takes off from the banks of the river Main with the banking district in the background in Frankfurt, Germany, on a grey Friday. 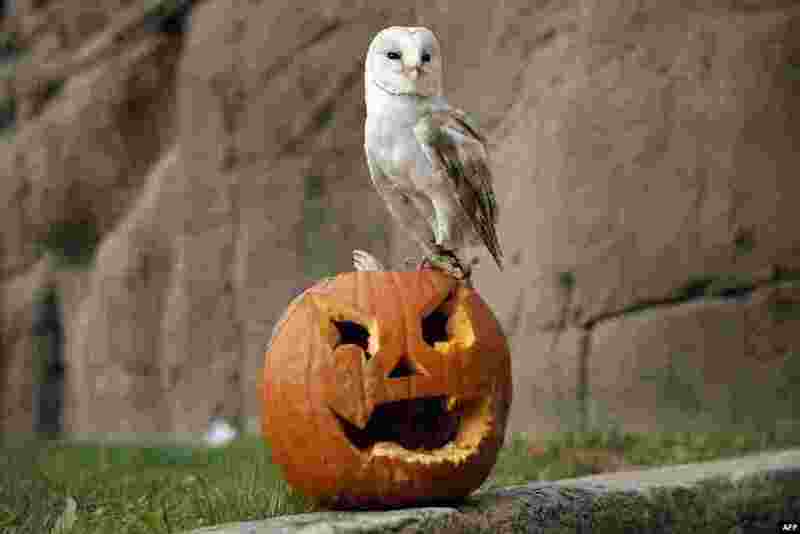 8 A barn owl stands on a jack-o-lantern carved from a pumpkin and used to symbolise Halloween or All Saints' Eve at the Zoom Torino zoo and amusement park in Cumiana, near Turin, northern Italy.